Dr. Mozaffarian graduated from Montclair State University with a Bachelor of Science Degree in Biology and Chemistry in 1998. She then received her Doctorate in Dental Medicine in 2003 from the University of Pennsylvania. Following this in 2004, Dr. Mozaffarian completed a one year Residency in Advanced Education in General Dentistry also at the University of Pennsylvania. Additionally during her Doctorate program she participated in an Externship at the Saint Joseph Hospital and Medical Center in 2002. Dr. Mozaffarian held a Instructor position as a Clinical Associate at the University of Pennsylvania School of Dental Medicine from 2005-2007. She is committed to staying up to date with the latest techniques, advances in materials and technologies through hundreds and hundreds of hours of continuing education courses she has attended. Through continual additional education and training she strives to provide a high quality service to her patients. Dr. Mozaffarian is known for her caring and gentle chair-side manner and a soft touch. She believes in making her patients feel comfortable and at ease with a genuine compassionate approach. Her passion for dentistry and commitment to the highest level of patient care is evident in each procedure she performs. 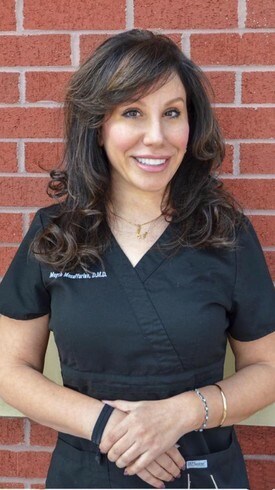 In her free time, Dr. Mozaffarian enjoys spending time with her family and friends as well as traveling. Her hobbies include reading and swimming. "My biggest thrill in dentistry is being able to give my patients a great confidence with their smile"